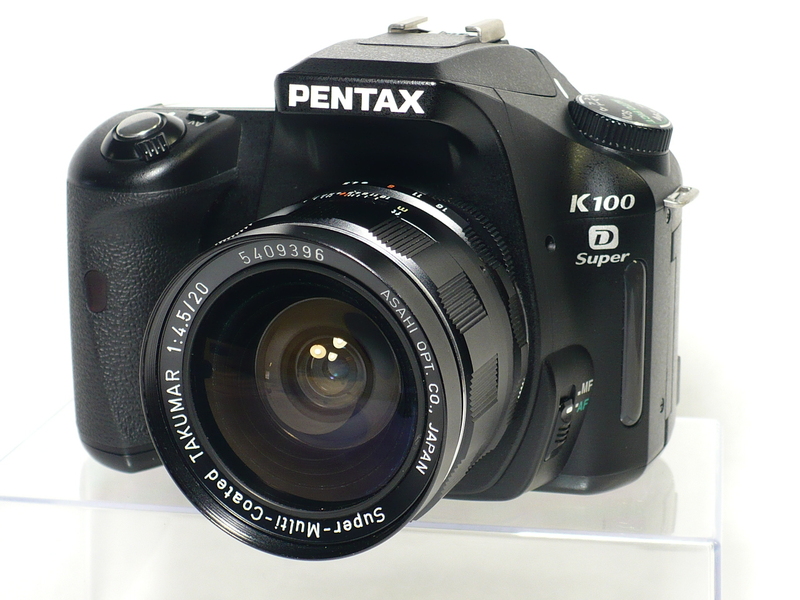 New (to me) K100D Super body and Old (also new to me) Asahi Pentax 1:4.5/20 M42 lens. I have an Original Pentax K-M42 adapter holding the two together. Wow, your 20mm Tak looks really pristine. Hope you enjoy the combo! It's a 9/10. At first I didn't believe the price that was on it ( felt like I was stealing it ). Found it in a small camera store where someone traded in his Spotty and 3 lenses. Best way to buy them is to lookfor old film cameras for sale with lens. Often can be had for next to nothing. Have over a dozen that I purchased just for the lense package and I still don't have a tak. 20mm. jim Ps that m42 with the proper adqaptor can be used on any brand of camera. I have to say that your copy is the first of that particular Tak I have seen...I'm no expert but I do shop a lot. It fits very nicely on that body. I have scored some great deals at shopgoodwill.com - Welcome.The poor man's LBA therapy although the shipping can be a little steep. Oh yeah....let's keep this a secret.